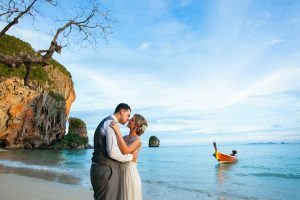 Thailand is a land of beauty with landscapes including sea mountains and forest.Especially the beaches of Thailand there have recognized as the world’s most beautiful.So this not surprising that every year. 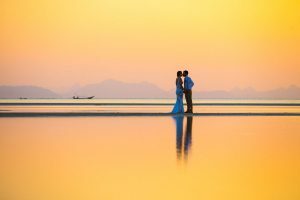 There are many wedding couples from around the world choose Thailand as their destination for there beach wedding.Many couples choose a destination wedding at a place that’s famous island.Koh Samui, Koh Samui is a large with beautiful island and impress travelers from all over the world. 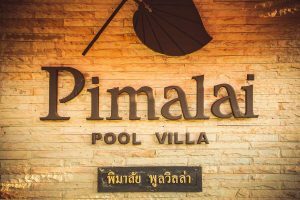 located in the Gulf of Thailand, in the middle of blue water and sourrounded by white sand. Koh Samui is the tropical oasis of Thailand.The lifestlye in Koh Samui is quite relax, building no higher than palm trees, small bars & restaurants.You can find many activities on the island apart from lying on the beach during day having fun with water activities, celebrating on the beach at night, you can also visit monkey schools where it is trained to collect coconuts from trees. 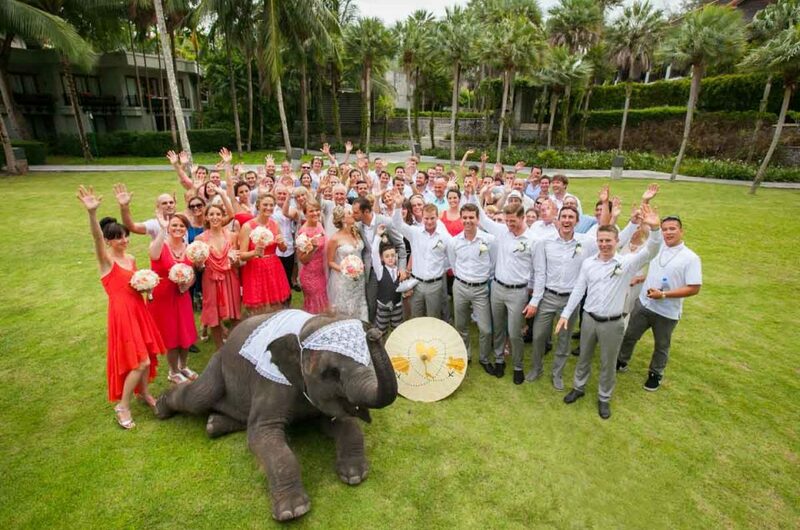 Wedding Ceremony of Jennifer & Terrence was held at Parisa Phuket Resort & Spa, Kamala Beach on 30 November with 40 distinguish guests.Jennifer and Terrence went 3 days ahead for time for the preparation. In the meantime, I had arranged a meeting with the couple to discuss details before the photography session. 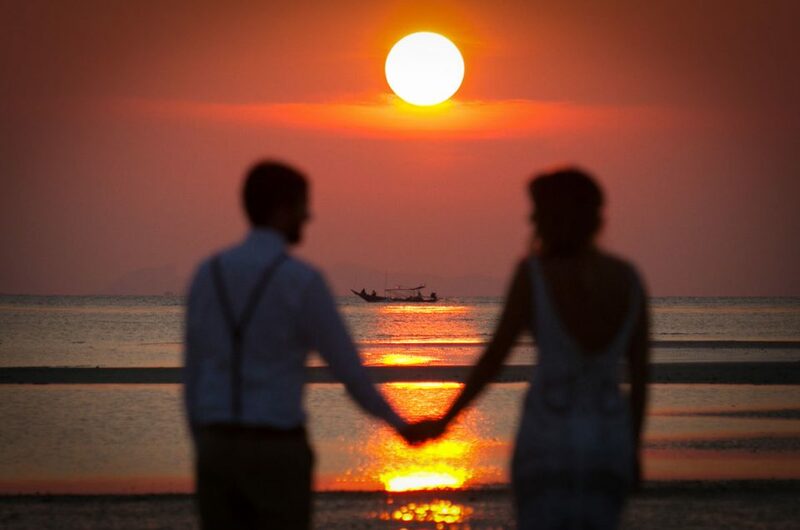 I have taken pre wedding session for them on Kamala Beach in the evening the day before the wedding day. 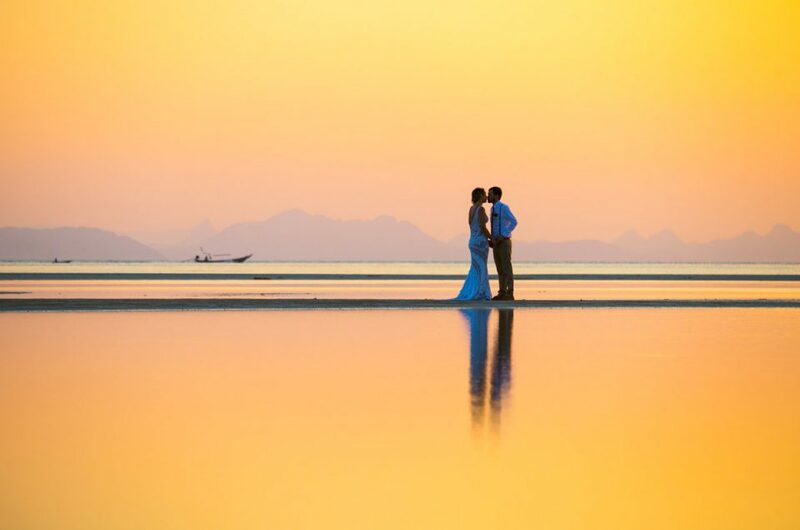 Although the climate during the pre-wedding photography was not good, I had a lot of impressive images due to the greater unforgettable moment to capture. For anyone looking for a wedding photographer, look no further. Seriously, stop looking. 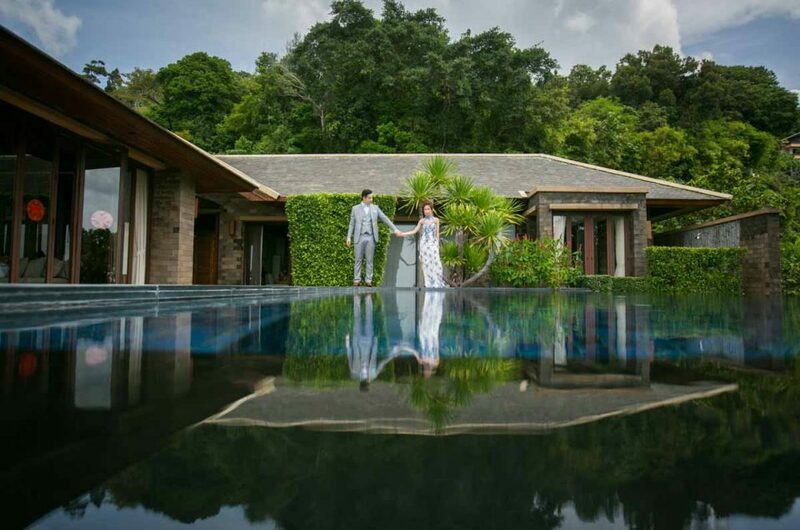 Aht is by far, the best wedding photographer any couple could ask for.My wife and I were first introduced to Aht by Geoff Whitehead, who runs Wow Make-up (whom I also highly highly recommend, especially for other asian couple). When we first contacted Aht via email, we were very pleasantly surprised at the promptness of his replies. 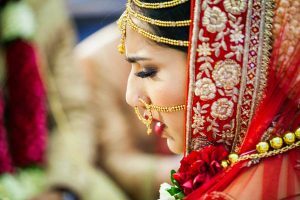 Planning an overseas wedding is extremely stressful given the physical distance and language barriers. Aht made all of those worries vanish instantly. His replies were prompt and clear, and he was extremely patient with our million and one questions.